Wind energy is now the cheapest form of new electricity generation in the US, according to a study by the Lawrence Berkeley National Laboratory. 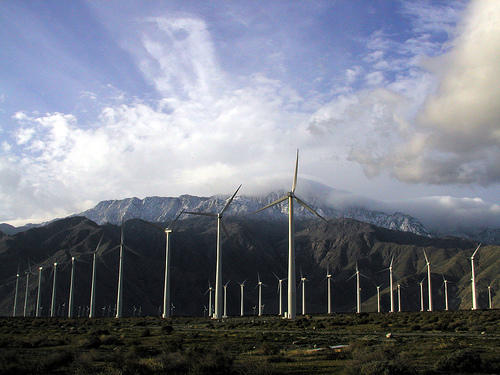 In 2012 wind power accounted for 42% of new installed power. 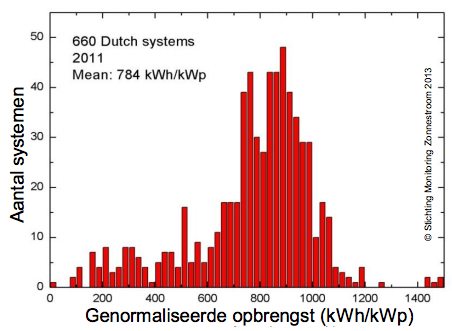 An evaluation of 660 solar energy systems in the Netherlands in 2011 showed that a well placed (south, 30 degr. tilt) set of 4 typical 250 Watt solar panels on average will give a return of 784 kWh per year. In other words, as a rule of thumb for temperate climates like Holland, if a panel has a peak capacity of X Watt, than a yearly yield of 0.78 * X kWh can be expected on average. Assuming a lifetime of 25 years, for a solar panel investment of 235 euro you will receive in return 25 * 0.78 * 250 kWh = 4875 kWh, which in the Netherlands amounts to (prices 2013: 23 euro cent per kWh) 1121 euro, ignoring installation cost. Prices for solar panels are still eroding, so these figures will look even better in three years time. Even in grey, cloudy zones like the Netherlands, solar already pays for itself handsomely. Including installation cost calculate with 7 years payback time (offset against 2013 Dutch electricity prices from the grid) and 18 years free electricity, no subsidies required. Yearly solar radiation in kJ/cm2. Note that 400 kJ/cm2 amounts to 1,111 kWh/m2. 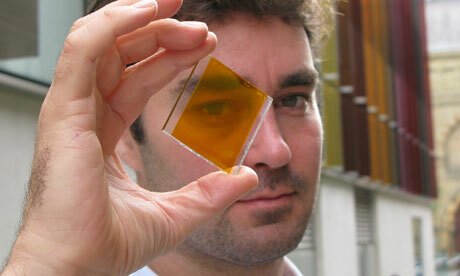 Perovskites – Price Solar Down To 10-20 cents? Promising developments with solar cells: application of perovskite (CaTiO3) could bring down prices of solar cells from 75 $ cents now, to as low as 10-20 $ cents per peakwatt. Decisive are a combination of relatively high efficiency (15% today) and simple manufacturing procedures. Not as easy as spraying a surface, but it is getting close. Producing fertilzer (NH3) from air using wind energy is a good example of how the intermittent supply of wind can be buffered.